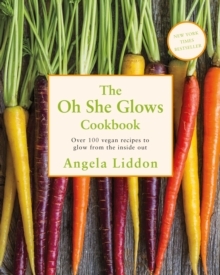 Go vegan in 2019 with Oh She Glows, the bestselling vegan cookbook from popular blogger Angela Lidden packed full of over 100 mouth-watering recipes. 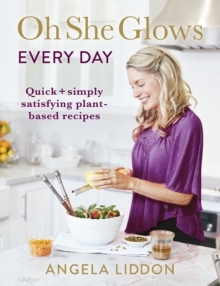 Featuring go-to breakfasts, protein-packed snacks, hearty entrees, and decadent desserts, there is something for everyone in this collection of delicious and wholesome plant-based recipes, such as:* SWEET POTATO and BLACK BEAN ENCHILADAS with AVOCADO-CORIANDER CREAM SAUCE * CHILLLED CHOCOLATE ESPRESSO TORTE* ULTIMATE NUTTY GRANOLA CLUSTERS* EMPOWERED NOODLE BOWL* ANGELA'S FAMOUS GLO BAKERY GLO BARS The Oh She Glows cookbook is also allergy-friendly, with many gluten-free and soy-free options. Whether you are a vegan or simply want to incorporate a few vegan meals into your week, Angela's recipes are a must-have for anyone who wants to eat well, feel great, and glow!